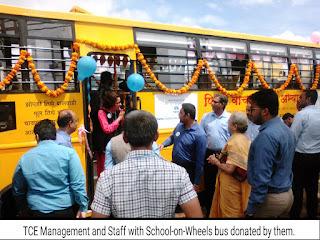 As a part of efforts to educate out-of-school children living in temporary slums and labour habitats on construction sites, Door Step School runs School-on-Wheels programme which is a bus converted into a mobile classroom. Sometimes, even setting up a temporary shelter as a classroom is not possible at locations where children live. The School-on-Wheels bus provides space for DSS teachers to conduct educational activities at such locations. 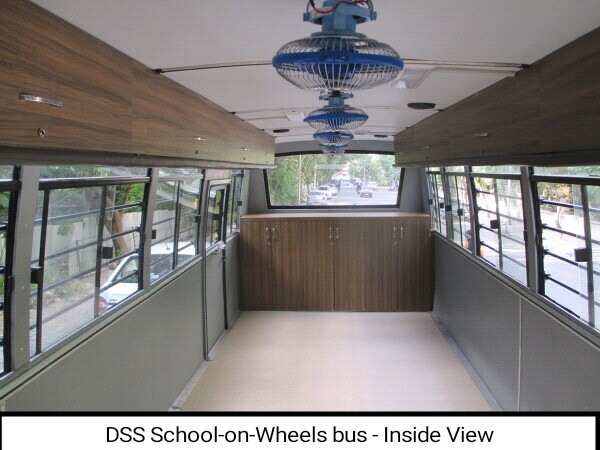 The bus is modified to accomodate 20 to 25 children at a time. 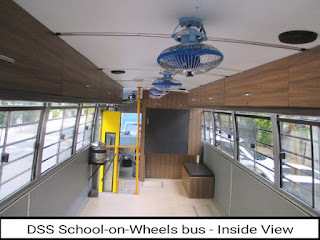 It is equipped with a blackboard, learning charts, mini-library of books and toys, etc. 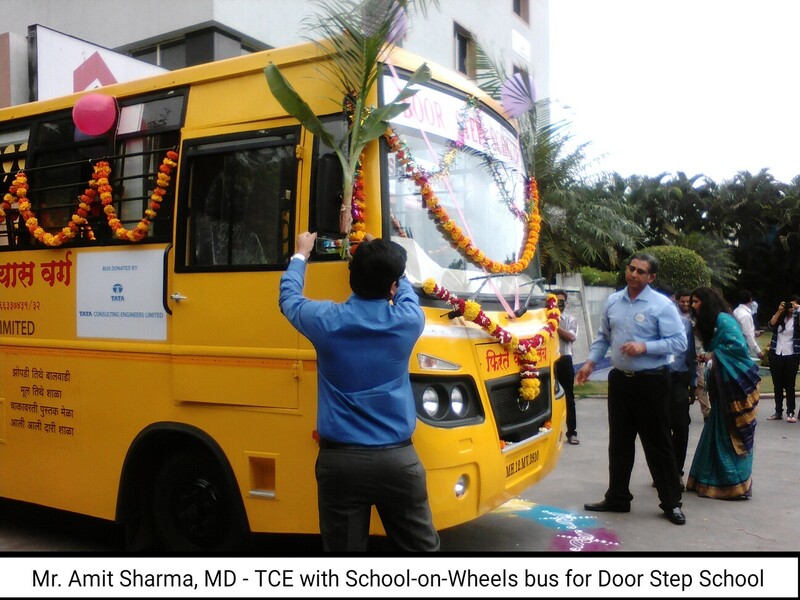 The bus covers 3 to 4 locations in a day, conducting sessions of around two to two and half hour duration. Focus of the programme is to make the children - often first generation learners - familiar with a learning environment. These children are eventually enrolled in nearby government schools for formal education. 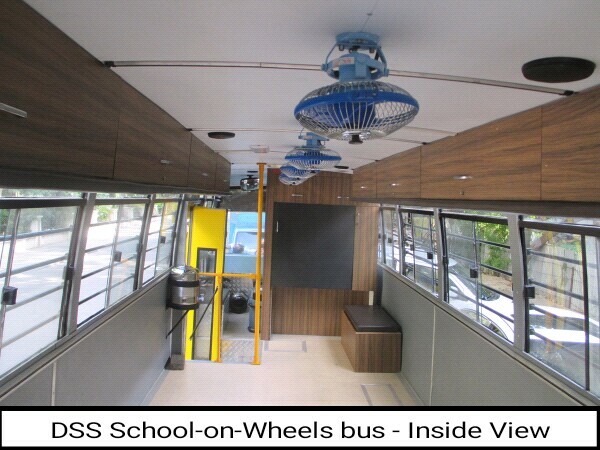 The sessions in School-on-Wheels bus support the education of both school-going and out-of-school children. A recent addition to DSS School-on-Wheels programme is the bus donated by Tata Consulting Engineers Ltd. Mr. Amit Sharma, MD - TCE officially inaugurated the School-on-Wheels bus and also visited one of the temporary slum class at Baner, along with several other management and staff members of TCE. 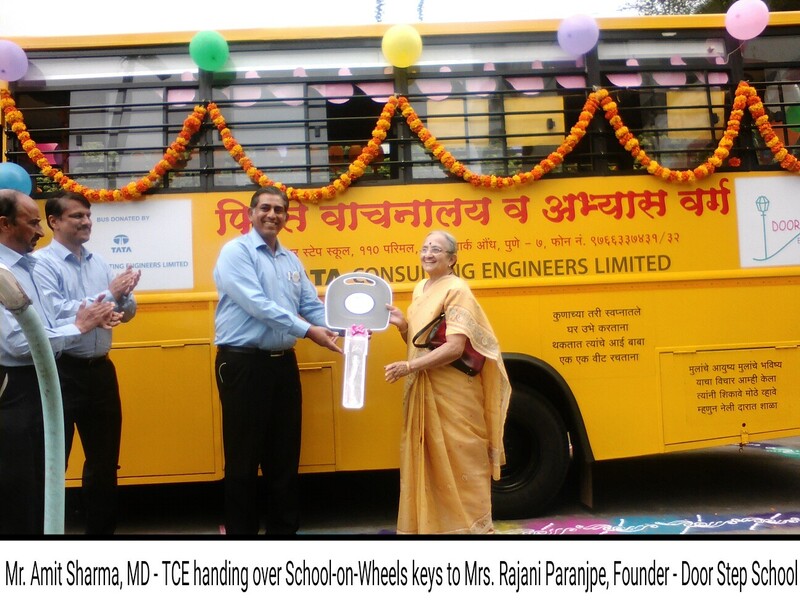 Door Step School appreciates the concern and support by TCE, which is going to help education of many children across Pune in coming times. Thank you!